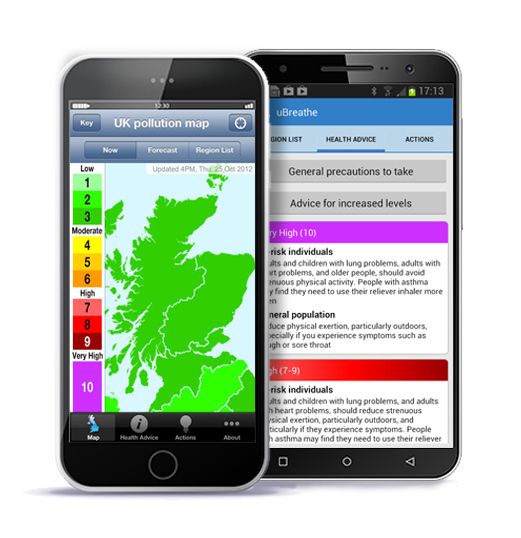 uBreathe - the free app for iPhone, iPad & Android that gives you air pollution health advice - where and when you need it most. 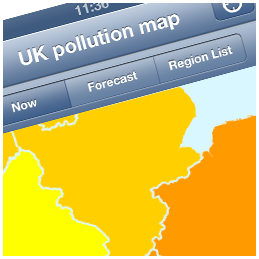 Colour-coded UK map that locates where you are to give you instant access to current and forecast air pollution information wherever you are in the UK. 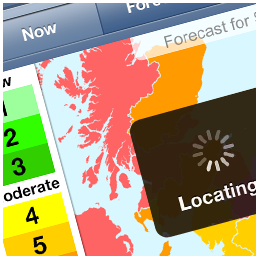 Simple tips explain what you can do to reduce air pollution. 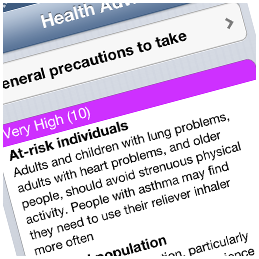 Health advice and useful links help you reduce your exposure to air pollution and its harmful effects.